I couldn't stand it anymore. 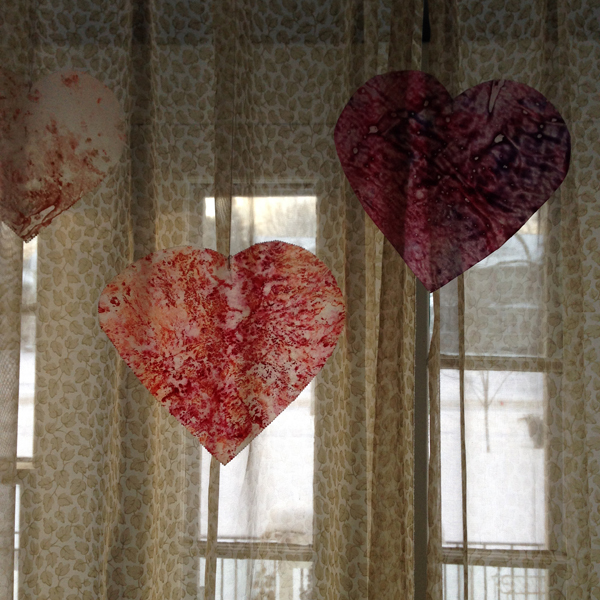 I put out my Valentine's decorations a week ago. I thought I should at least wait until February to admit it. 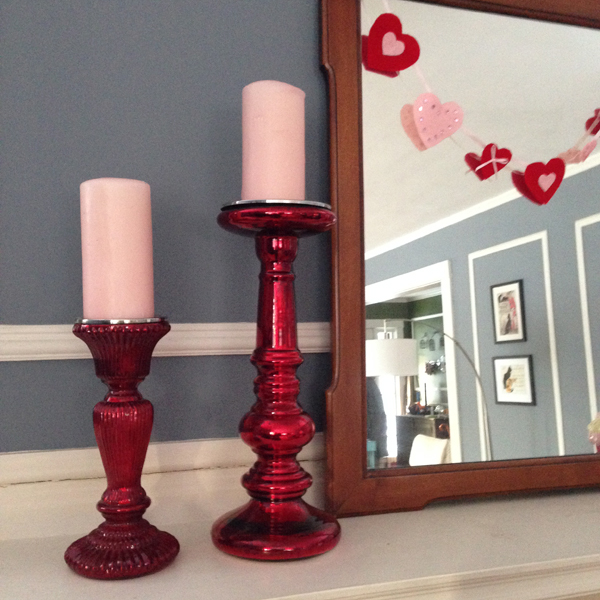 These wax crayon hearts have been making an appearance for over ten years now. 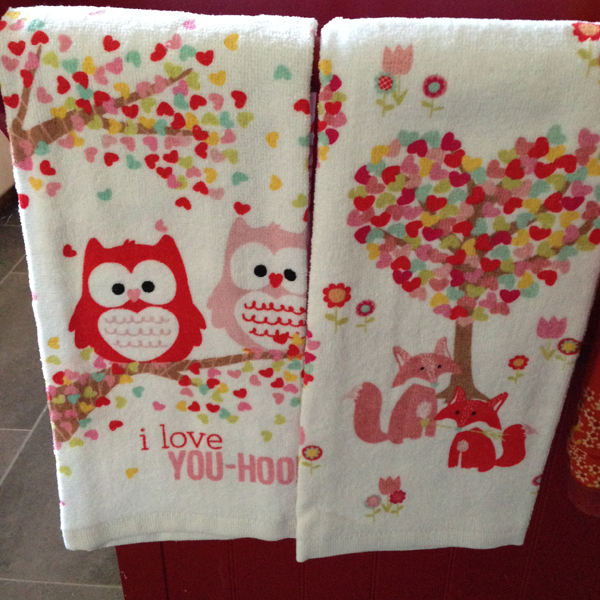 It helps to have a bit of pink, red and hearts brighten up the middle of a long winter.